With my fascination for the lucky 7 I have always thought my 49th year would be a special one and so it has turned out to be. When I started my web site in 1997 at a mere six times seven years of age, I did not know that I was on the verge of major changes in my life. 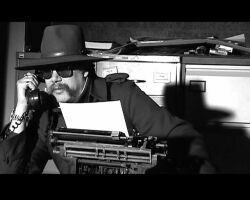 My writings chronicle how I felt throughout that period, from the reactions to my mothers death, and the burglary the year after that which really presaged a long period of depression and hopelessness from which I have since built my life back up again. When I received my diagnosis I was at a really low point, and whilst being relieved I was simultaneously disappointed in myself and took on board the limitations of AS as a disability rather literally in terms of how that impacted on the career I wanted to cut out for myself as a photographer and journalist. 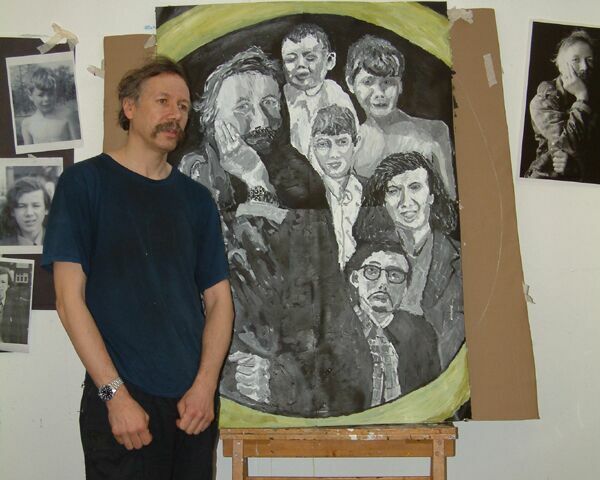 Building up my qualifications at Hereward College was the best thing for me, for when I graduated with distinctions that was a vindication that my life was worth something and my creative talents were not a myth of my own making. One thing follows on another and one cannot get quickly to ones destination without being in the right place to start with. My voluntary work with my mother, which I had seen as counting for naught when I went looking for work in the real world, has been the basis of my activity in the National Autistic Society. For when I went to my first AGM of that organisation and asked the question about what was in it for me, and what role was there for autistic people in governance I did not realise that I would answer my own question by becoming first a councillor and then Board member with a very important role to play in moving the NAS into the next century. It was the combination of my previous experience in the community sector, and the connections I had made on the Internet that allowed me to be first nominated and then elected. 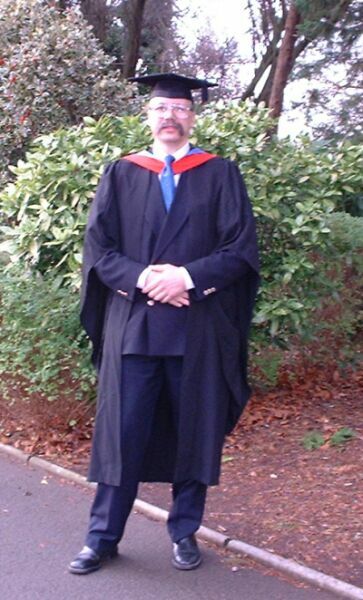 My academic courses did more for me too, than gain qualifications, as they gave me back my confidence, and allowed me to participate in a more social world. Not only that I made with Paul Smith the Outside In Video, that continues to sell and has had some impact I hope on the understanding of our perspective. It is true I want to go further academically, to higher degrees, but obstacles of finance still stand in the way. 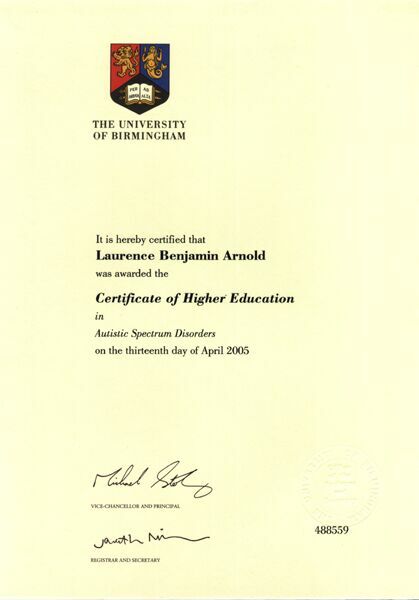 When I started the Birmingham University web based autism course, I guess I had more than just the objective of gaining the qualification, I wanted to prove that a person on the autistic spectrum was just as capable of doing such a course, and more so of influencing the future of that course itself, something I have done, being as Outside In is to be integrated into the course as well as my having been asked to write course materials. A small start on what I want to take a lot further in future. Likewise 2005 has been the year of Autscape, where I have been able to make a different kind of presentation to the usual self-narrating zoo exhibit kind, and integrate it with my interests in media and video. More shall come of this for I will be producing a video based on what I said there, and the text of it is going on to be a paper at an on line conference. 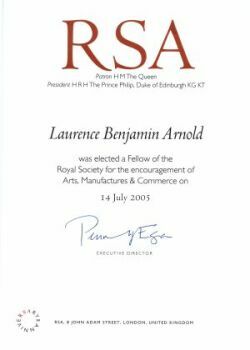 Perhaps the biggest surprise of this year when so much is happening has been my election to the fellowship of the RSA. This was a complete surprise when I received an invitation to submit myself for election. I though to myself am I really the calibre of person who has made a sufficient impact either in the community or world of enterprise to bear those letters after my name? Well I guess the conclusion must be that I am, from my busy period in a variety of organisations in Coventry and then after that in RADAR and now the NAS. Seven times seven, and more to come I hope, so that I can show that there is more to life than autism alone and more to autism than no life. I got where I am because I worked at it, but I did not get here by abandoning my responsibilities to my mission, to create a better world for all people disadvantaged by what the world labels as disability. But it does not end there, I was to remain at Hereward for another year before moving on to Birmingham University for further studies. It is at that time I abandoned updates to this part of my site in favour of keeping a blog. However it does not finish here, there will be more as the roller coaster of life goes on.